THE beginning of US failure in Afghanistan has been attributed to various decisions in recent history. Abandoning Afghanistan after the Soviets were defeated, waging war in Afghanistan in response to 9/11 and allowing itself to be distracted by a disastrous war of choice in Afghanistan are some of the well-known reasons offered for US failure in that country. 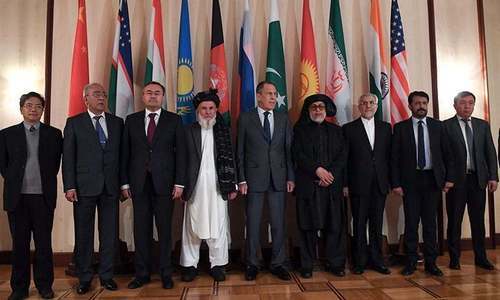 But another less-discussed aspect may be the true reason for ultimate military failure in Afghanistan which appears imminent: the decision to exclude the Afghan Taliban from the Bonn Conference, where the contours of the current dispensation in Afghanistan were decided. Instead of a durable political settlement, the seeds of a near two-decades-old war were sown. The naïveté and inability to grasp nuances in Afghanistan that the US has displayed has severely, and perhaps irreversibly, affected its ability to help craft a stable and secure future for Afghanistan. The Afghan Taliban, unlike Al Qaeda and later the TTP and now IS, were a nationalist force with no known transnational agenda. Now, as the US appears to be attempting to fashion a hasty exit after a prolonged stay, the US may create yet more problems for the region. A withdrawal without a peace settlement would risk not just plunging Afghanistan into chaos but could also have disastrous effects across the region. With US President Donald Trump often appearing to be at odds with his own administration, it is not known to what extent the president’s notorious reliance on instinct can or will be offset by serious thinking amongst his advisers. Moreover, adding to the confusion is that the US national security establishment and military leadership appear wedded to the idea of permanent war if they cannot win the war, which they have fought to a bloody stalemate at best. If there has been one unifying element among all internal and external actors in Afghanistan, it is that IS should not be allowed to expand in the country. 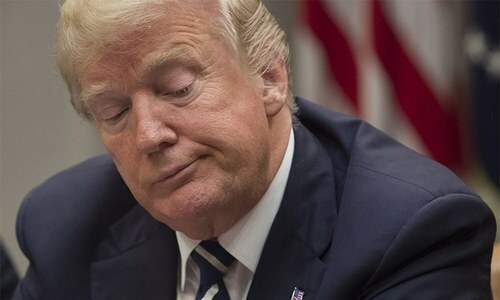 But President Trump’s abrupt decision to withdraw US troops from Syria that have been fighting IS indicates that even the spectre of the militant group in Afghanistan may not be enough to compel rational US decision-making in Afghanistan. How likely is it that, as a Pentagon report this week has asserted, reintegration of Taliban fighters will take place if the fighters and Taliban leadership believe that they may be on the verge of outright victory? For Pakistan, the challenge remains the same: helping achieve an Afghan peace settlement that has the support of internal and external powers. Foreign Minister Shah Mehmood Qureshi’s intensive shuttle diplomacy is visible, but it is not clear to what extent Pakistan has a plan or ability to help achieve a region-wide desire for peace and stability in Afghanistan. Perhaps the foreign minister should share news on his efforts with the country. Beyond the rhetoric, does the contemporary state really want to rid the world of terrorism? We are waiting for the inevitable, a moving train on a weak bridge (without poles). Only Pakistan can bring peace. Nobody else. America must respect Pakistan. India can play a big role in bringing peace in Afghanistan. Our foreign minister is a true gentleman and an honest person (I hope). If he would have achieved/believed something, he would have gladly shared it by now. Leave him alone, at least, he is not makingg the things worse, than whatever they are already. Step one: let representatives of Afghan majority force out of their land the country that does not belong there and has been troubling real Afghsns and Pakistan. US can reduce force and actually invite Russia to add force. Who knows. One thing is for sure that the security hawks of the West will not allow any vaccuum in Afghanistan. In the past 17 years, they have not indicated a single plan, what makes it so that the FM has any? Next 5 years are all about keeping his job and the benefits that follow Free Hob Knob and lunches. Peace and stability are in the interest of the world.Intervening and waging war for strategic gains against eachother would wreak in havoc down the road. Trump is a intelligent man. Peace was around the corner last timewhen the US removed Taliban and paved way to establish democracy. It was a Mistake by the US to go to Iraq, thinking their ‘ally’ would help in keeping peace! @M. Emad, "India can play a big role in bringing peace in Afghanistan." What are they waiting for? No chance of peace as long as India remains in Afghanistan pulling the Afghan government's puppet strings. Yes. By running away. Fast. Peace in Afghanistan will prove to be a farce if all the stakeholders were not brought on table. @M. Emad, India only wants chaos. If India wanted peace, he would have accepted talks offer by Pakistan. Sir, Question should be asked does Afghanistan accept the Pakistan’s plan. Let the Afghan people decide who they want in government through the ballot not the gun. Other countries cannot decide for them, at best they can facilitate the electoral exercise. Afghanistan war can be stoped only by those who started it.it is as simple as it is. Share the strategy out loud? Not a proper demand! The team working for Pakistan right now is much more capable than the ones we had in the past decades. Let it do it's work. @M. Emad, have the Afghans invited Indians or you are just muscling in? "For Pakistan, the challenge remains the same: helping achieve an Afghan peace settlement that has the support of internal and external powers." - Well said, anything less than the participation of internal and external powers tantamount to a fragile peace. @MAkram, "Only Pakistan can bring peace. Nobody else. 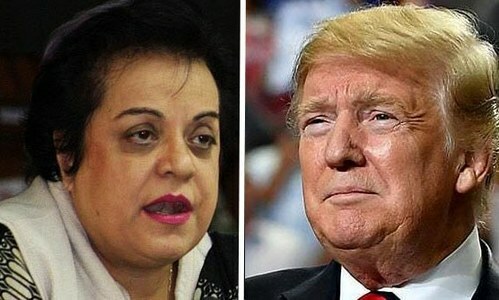 America must respect Pakistan." When a people are dependent wholly on someone else for peace, we can infer who is holding peace hostage.